How do parents survive the suicide of a child? 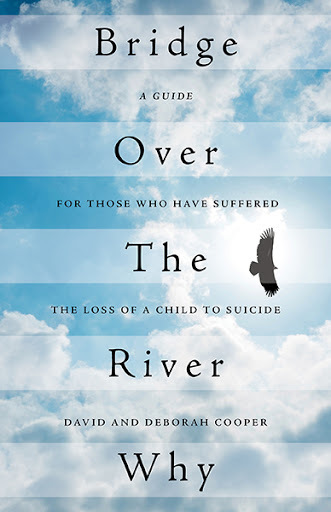 David and Deborah Cooper provide guidance and bereavement support to parents in Bridge Over the River Why. Their guide is a demonstration of resilience and a tangible offering of hope to those seeking a way forward after the unthinkable happens. David and Deborah will appear on CBC’s Metro Morning and on the CBC 6:00pm TV news on Monday, September 10th to discuss Bridge Over the River Why and the importance of establishing Eli’s Place, which will bridge the gap in our mental health system for young adults, aged 19 to 35, with serious mental illness. The Coopers document how they approach grief after losing their son Eli by suicide. They start with the premise that “doing and feeling” are the key components of moving forward. They offer 26 lessons ranging from how to talk to friends – “the more we talk about the loss, the more real it becomes…talk about your child often,” to managing the realities of a changing life. There are many different ways to carry on the legacy of a loved one. 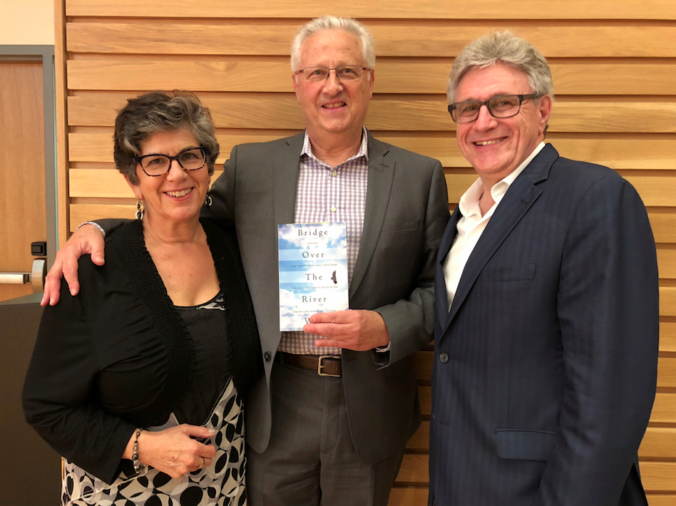 In their search for meaning the Coopers have committed themselves to addressing a significant gap in mental health services for people like Eli by establishing Eli’s Place. This residential treatment and recovery based program will offer individualized therapeutic care for young adults aged 19 to 35 with serious mental illness and is projected to open its doors in 2020. All proceeds from the sale of Bridge Over The River Why are being directed to Eli’s Place. September 10, 2018 marks World Suicide Prevention Day. According to the World Health Organization, close to 800,000 people die by suicide every year. Purchase a copy of this guide to support those already facing the aftermath of suicide and to support a treatment facility designed to prevent the circumstances that can lead to a death by suicide.